Too many foreigners in the Premier League stopping our young Englishmen making the most of their potential? Why not go elsewhere? Every time England perform under par – a recurrent theme throughout this 2014 FIFA World Cup qualifying campaign – calls ring throughout the nation for a countrywide overhaul of our youth system. There are ever-louder shouts for cuts to the number of foreign players in the Premier League and comparisons between the academy systems of our country and our main international rivals are ripe in numbers across global media outlets. 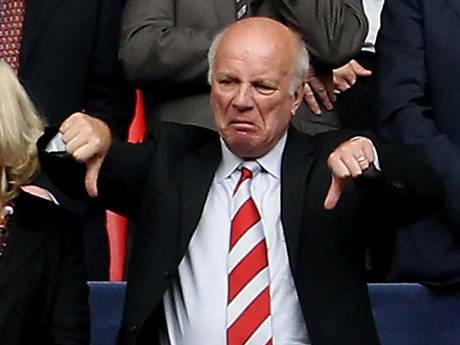 The FA’s new Chairman Greg Dyke offered a counsel of doubt to the current state of our national team upon taking up the role, also warning that foreign players are tarnishing England’s chances of ever winning a World Cup. “20 years later (After the Premier League was created) we would end up with a league largely owned by foreign owners, managed by foreign managers and played by foreign players and that, as a result, it could be argued that the England set-up has been weakened, rather than strengthened, by the creation of the Premier League,” he said. In the latest transfer window almost £500 million was paid to foreign clubs for foreign players – a 60% increase on the previous season. Ones such as Roberto Soldado, who is already starting to justify his pricetag with his return of goals so far this season, Mesut Ozil, who has brought a smile to many Arsenal fan’s faces after repeated years of Arsene Wenger’s wallet tightly sealed and Jesus Navas, who looks like he could play a prominent role if the title is to return to the blue side of Manchester. The current trend of foreign spending is making the Premier League increasingly commercially attractive – from a business view it is flourishing. The English national side isn’t mirroring the benefits. Lord Bates (conservative) told the House of Lords in July: “There is no doubt that English Premier League football brings in a huge amount of money to the UK. VisitBritain announced in October 2012 that 900,000 foreign football tourists visiting the UK spent a substantial £706million – or £785 per fan – around £200 more than the average spend for a visitor to the UK.” On top of this is over £1billion that the Premier League and its clubs pay in tax every season. Let’s face it – the Premier League is here to stay. The amount of foreign players will be ever-growing and those wanting a limit on the number of overseas players in the top flight can’t and won’t change the way English football operates. But the problem of English football might not necessarily lay in the lack of English players in our domestic league, but the lack of English players plying their trade abroad. 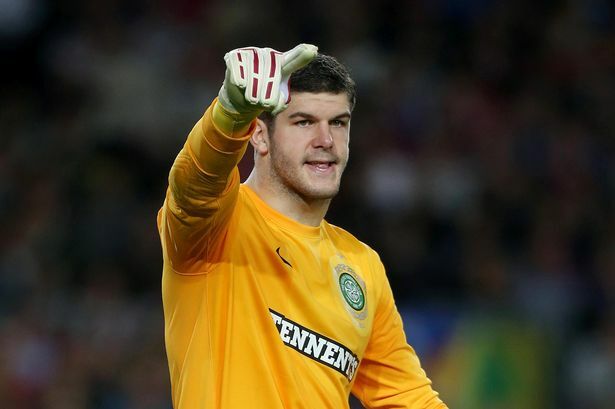 Fraser Forster was the only player based outside of England in Roy Hodgson’s most recent squad for the World Cup qualifiers against Moldova and Ukraine earlier this week. Before him, the last player called up to the national side from a foreign club was Scott Carson, formerly of Bursaspor in Turkey, who was selected for a friendly against the Netherlands in February 2012, but didn’t come on to take part. England are currently ranked 14th in the FIFA World Rankings and of the 13 teams above of them, the least number of players in their national squad (for their most recent World Cup qualifiers) who are playing club football abroad was 5 (Italy). The current world and European champions, Spain, had 9 players in their squad playing regularly outside of their domestic league. With the likes of Lionel Messi, Cristiano Ronaldo and Neymar gracing La Liga on a weekly basis, there is little doubt that they are the main challengers to the Premier League in terms of entertainment. However, the Premier League has an annual revenue almost double that of La Liga at €2.5bn, attendances that average 92.5% capacity compared to Spain’s 80%, and a much fairer distribution of television rights. Money plays a huge part in bringing players to the Premier League, but regular football should be on the forefront of our upcoming professional’s intentions. Belgium is the team that everyone’s talking about this week. Following a very successful qualifying campaign they have emerged as shock contenders to lift the trophy in Brazil next summer. 20 of their 24-man squad play their football outside of Belgium. Ryan Keaney notes on The Football Project that many of Belgium’s ‘golden generation’ fled the country at a very young level to seek their full potential. Eden Hazard relocated to France to benefit from their national academy program. Thomas Vermaelen, Toby Alderweireld, Moussa Démbéle, Jan Vertonghen and Dreis Mertens all came through the youth ranks in the Netherlands. Why are young English players not moving to foreign countries where opportunities could be much more fruitful? Elsewhere around Europe, Germany, who have one of the most enviable national academy systems in the world still find six of their players playing elsewhere on the continent (Per Mertesacker, Andre Schurrle, Mezut Ozil, Sami Khedira, Mario Gomez and Miroslav Klose). The number of players playing outside of a national side’s domestic league: England (1), Spain (9), Germany (6), Colombia (18), Argentina (18), Holland (11), Italy (5), Portugal (16), Croatia (10), Brazil (16) Belgium (20), Greece (11), Uruguay (23) Bosnia (21). UEFA stated in April 2011 that if England is to ever replicate the same sort of success as their European rivals, the Dutch model should be the one they seek to emulate. But once they’ve reaped the rewards of the youth system and turned professional, players don’t often hang around in their domestic league. Under half of the current national squad are playing in the Netherlands and of the ten that still do the top three teams, PSV (5), Feyenoord (4) and Ajax (1), share their signatures. As Brazil prepare to host the World Cup next year on ‘home soil’, they are tipped by many bookies to be one of the favourites. ‘Home soil’ is a term used loosely among the Brazil squad, because when 16 of their most recent squad of 21 players are living, playing, acclimatizing, and culturally immersing themselves in foreign countries, can it really be called playing on home turf? England’s other main rivals all have significantly more players playing in foreign countries than we do – an undoubted fact. Do we even have any players playing abroad? Throughout under 16 to senior level excluding Forster – just one. Eric Dier is currently part of the England U21 set up. Eric Dier left England in 2004 when his mother was offered a job during the European Championship in Portugal. When his parents returned to England in 2010, Dier was left behind so he could nurture his talent at Sporting Lisbon’s academy, where he has now appears as a regular in their starting line-up. The central defender made 14 league appearances last season for the Portuguese giants and he’s still only 19-years-old. 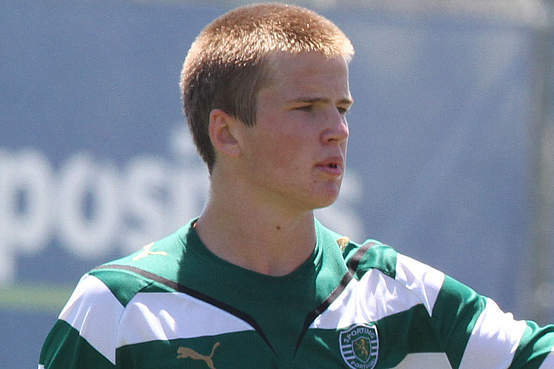 Dier had a short spell on loan at Everton in 2011 and upon his return to Sporting made his first-team intentions clear, not waiting long for his debut. If Everton had shipped a few more young Englishmen out to Portugal when Dier returned, how many of them would be gracing the under 21 side now? Moving abroad at an older age might not be the answer, as a stressful family life which comes with moving to another country could have a detrimental effect on and off the pitch, but at an age where a career is made or broken, why aren’t more of our youngsters giving it a go? Why not experience first-hand Spain’s technical prowess in midfield, or Italy’s solid defensive manoeuvres? Players coming through with this sort of understanding can only be of benefit to the English national side. Chelsea recently loaned out Sam Hutchinson to Dutch side Vitesse Arnhem and despite already being 24, it will be interesting to see how much better he fares upon his return, if he chooses to come back to England at all. Maybe it’s not just the players who need to move abroad? Coaches too could benefit massively from immersing themselves in another country’s coaching techniques, making them view the game in an alternative way and implementing different strategies into the English game. Obviously the English game is driven by high wages that are not seen anywhere else across the world, but as a teenager it’s all about playing football, and if anything is going to give you the edge on someone else bidding to make the national squad in five years time, why not take the chance? If players aren’t going to make the step up to Premier League football because of high-profile foreign names stealing their places, don’t moan and blame the players that give us endless hours of entertainment on a weekly basis. Get out of the country and find an opportunity elsewhere and it won’t be long before we’re reaping the rewards of some foreign instalments in our youngsters. I get the impression that many young English players are comfortable and happy picking up their wage packet and sitting on the bench at a Premier League club. Obviously that’s a generalisation, but the fact that there are virtually no England players abroad suggests there is a problem. I think they could gain a lot by playing on the continent. I agree Pete, but young players need to realise football isn’t about money but if they work hard to be successful then money can come in abundance. In other words, too much is being paid to players that don’t really make it. Reblogged this on Pete On Sport. I call it the ‘Hargreaves’ model, a player who graced the pitch alongside Ballack and yet considered an after-thought by fans and managers alike. That was until he made it patently clear how good he was, an engine which made it through 120 minutes of football with energy to spare. Also scoring the only successful penalty in the shoot-out, later after that United tied him down at Old Trafford. The point is spot-on, the coaching and development is clearly better funded and focused for success abroad, if this leads to more Hargreaves coming thought (save for the injuries), then we will be the better for it. For me, the problems with the England national team isn’t about technique, but about playing the game with a different tactical mentality. In the premiership, because both teams attack, you don’t need to move too much to find yourself in space. Whilst I agree English players would benefit immensely from playing abroad, I don’t know if I see the incentive for overseas clubs to take them on. The reason they play their yongsters more is because they’re unable to buy people in (I don’t have the stats, but I strongly suspect that there are Championship clubs who can afford to outspend teams in top divisions in France, Italy and Spain (and maybe even Germany)). If you’re a club with your own youngsters who you can play (and maybe sell on) I don’t necessarily see the incentive to develop a youngster for another club. Thats in every case remember. Strange coincidence isn’t it, all of them at times in their career not favourable to go overseas. It was quite a Derren Brown moment, for those who had the envelope to open. But its all RUBBISH ! The agents r terrified of losing control of their ASSET if they play overseas. PERIOD. Thats all it is. Pure scare mongering by agents, who our players have never been schooled on how to hire and work with, giving them massively disproportionate influence over their CLIENTS. NB. Every one of the players had been asked b4 they spoke with their agents, would they consider playing abroad, and then would they like to ? All said Yes !, most having spoken to wives et al to get their buy in. Here’s the real kicker. We also asked the players, had the subject of playing in another country, ever , been brought up by their agent? You know the answer!….Nohhhhh. Not once. That is the core of this problem. Fear created by clubs-mainly, preyed on by the agents. The players ONLY concern they had about going overseas, was ” being forgotten about”. The question is .. by whom-exactly? The implied answer was uk clubs etc. But so what! Go overseas and PLAY FOOTBALL. If they do well, no-one will forget them, in fact they have more reasons to get noticed, by far more than the closed minded brit footy fraternity! This fear factor is killing our players on and off the field, it is pervasive in every aspect of the GAME ! Think of the path Roy Hodgson took to get the England job ! Yet many people seriously considered Harry Redknapp the odds on choice. Harry, who has barely managed in 10 euro club games v’s Roy who has a true footy management experience, 6 ? Countries, 2 national teams, trophies in 3 co’s. Etc etc. Yet we seriously compare our Arry… with a football heavyweight. Gary Johnson played for Roy in Sweden, as one of the 1st English players abroad. To also manage the Latvian national team.He is also building up plenty of management experience here as well as running Youth Academies in the past at Watford. There is a scot managing in Africa somewhere that I can’t recall.What experience that will be. There must be more, from players all the way across to managers, even Suits to go and see how clubs are run overseas. It is time to open our closed brit minds if we r to compete in the future. For our part, we r putting some major initiatives in place to rectify this institutionalised problem with in our game. If we can help anyone’s endeavours, let us know. Or if you would like to explore how we may collaborate to make this happen, come on down !! We r building the uk agents resource, and linking them mainly with international law firms to make the legals much easier to manage. That is only the tip of the iceberg. If I can help spread the word, lets do it . Now ! Enjoy real QoL. Regards, Mark Layder ☆ ★ #BizHippy. Uk’s longest standing Football Sports Confidence Coach and creator of 3% Winning Edge, now developed into Enviro3, the study and implementation of environments for optimal performance.